It's no secret that I'm a Rose lover. ...and they even adorn organising items in my craft room, like these lace and ribbon organisers I made recently.. I decorate sugar cubes with them and box these like chocolates as gifts. Cut a sponge cake in to cubes or diamonds. Make up any flavoured jelly (jello), according to the directions. When the jelly (jello) has set to the consistency of egg whites, dip the cubes or shapes of sponge cake into it, and follow by rolling them in desiccated coconut. Chill well, and decorate as desired. First, choose two contrasting or toning lengths of lace, or scrap fabric. This looks prettiest when you use at least two textures, if not three. My Shabby Roses embellishing my Dreamcatcher above, were made using this same technique and lengths of satin, chiffon, and georgette, then ironed flat with a damp teatowel over them. So this is a really useful little craft. Cut about an arms length of your laces, ribbons or fabrics, and vary the widths to make your rosettes interesting. You get all kinds of effects using similar widths, differing widths, and different textures. Run a row of large tacking stitches along the bottom length of your strips, then pull them up to gather them. Stitch the two ends together to secure the rosettes shape, and add a button, sequin or any other pretty to the centre to disguise the hole in the middle. And I varied these by using one layer each of Violet lace and Cream satin edged organza ribbon. Add them to hairpins or hairclips, headbands, strips of lace of ribbon to secure them to gifts, velvet bands to use as wrist corsages...you are only limited by your imagination. I've boxed these ones up to gift to a friend who was a bit sad. I added vintage brooches to the box, and she was completed enamoured! Will you find time to make your world more Rosy soon? You can now find Five Star Frou-Frou as a neverending linkup here. You may link whenever you like, as often as you like. I will choose a feature each and every time I post, and add it to the bottom of my page here. 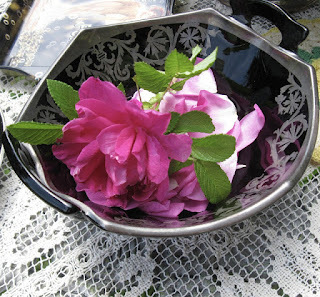 Todays feature is Thel, who shared her own gorgeous teacups with...you guessed it....roses! Please visit Thel. Her teacups and her table setting are truly beautiful! Beautiful roses! A very creative way to use up odds and ends of lace! I am sure those receiving them will be thrilled. 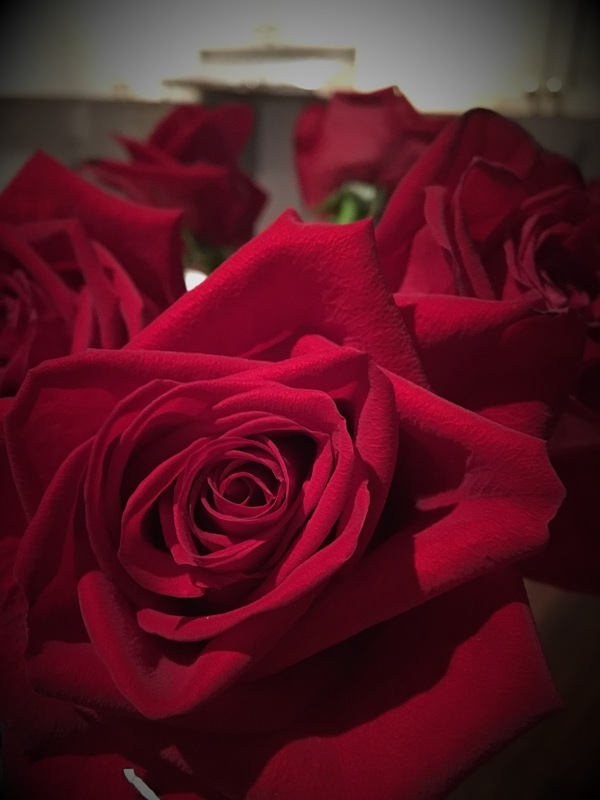 Such beautiful photos of roses Mimi. Have you tried making the apple pastry roses yet? They are quite easy and very effective and impressive. All your roses are beautiful! I made a dreamcatcher from your tutorial and gave it as a gift....now I am making one for myself and I will have to add these roses to it! So many lovely things! I love the diamond shaped cake with the flowers on top, almost too pretty to eat. These are all so pretty. What a lovely dessert and all the decorations. Thanks so much for the ideas. These were so lovely. I loved the look of the desserts and the ideas for using the roses on many things. Very pretty! I could never have a garden without roses. I thought your paper roses were delightful.